If there is one virtue I have been challenged to practice every single day since becoming a parent, it is patience. In the baby days it was learning how to breastfeed and figuring out how to soothe my baby. 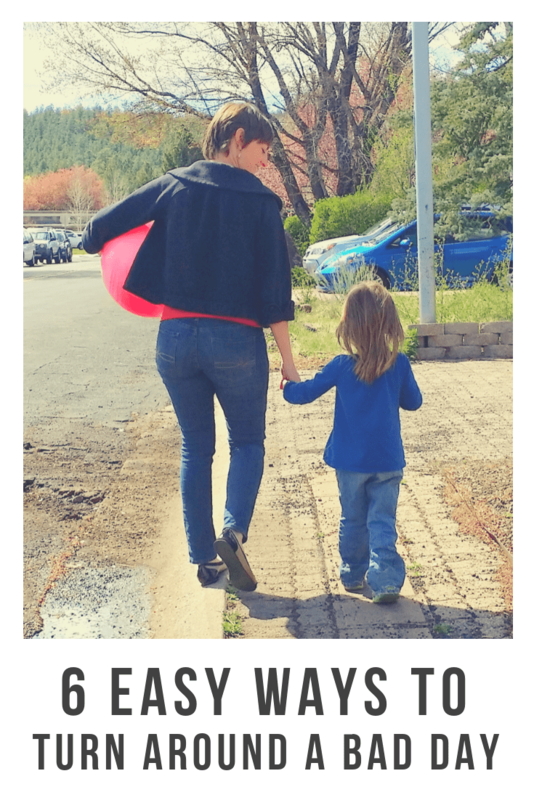 In the toddler years it was accepting the slow pace of walks while my child explored everything, or waiting (what felt like a million years) to get more than five straight hours of sleep in the night. With a preschooler came the never ending questions about dinosaurs, and the list goes on and on… and on. Every day there are dozens of opportunities to practice patience. 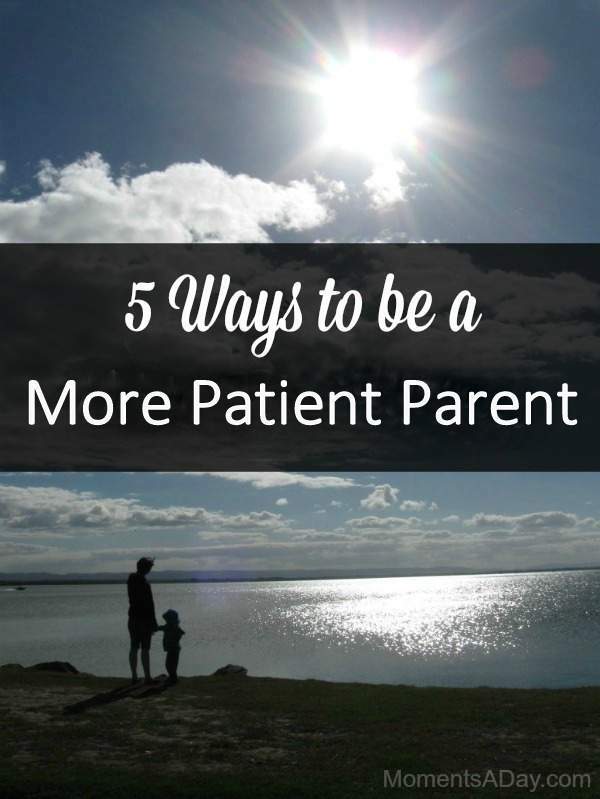 Here are five ways I try to be a more patient mom. I try to see the situation from my child’s point of view. My son doesn’t feel the urgency to get the muffins in the oven by 10am. He just wants to enjoy stirring the mixture. If I have time to spare, I try to take his viewpoint into account and do my best to accommodate it. Does it really matter if the baking takes 5 minutes more than planned? It may feel a bit unproductive to me, but he is learning so much through the experience that it is worth taking the extra time to let him get involved. It is not realistic to get through a trip to the grocery store with the kids in 20 minutes, even though I regularly get the shopping done in that time if I am by myself. Instead of setting myself up for disappointment, where I’m likely to be rushing everyone and feeling stressed, I try to plan in extra time whenever possible. This means leaving on our walk to school 10 minutes before we have to get there instead of five minutes, which is the time it actually takes us to walk to school. Some days we get there early, but more regularly we simply have some extra time to look at a spider or go back to get a forgotten water bottle. Planning in that extra time allows me to relax and therefore be more patient as unexpected events arise. I take one thing at a time. 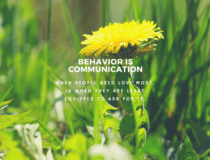 I find that when I am feeling stressed about “waiting” or when I am prone to snap over some behavior, that I am usually focused on more than what is in front of me. My kids may be taking a long time to get into the bath but I’m not actually concentrating on getting them into the bath, I’m already worried about brushing teeth, finding the favorite PJs, getting the dishes put away, and wondering if we are ever going to get to bed on time. If I step back and try to do one task at a time, I am less likely to lose my temper and more likely to be working through the present situation with focus and patience. When I am dealing with tantrums or high energy situations, it can be very draining and easy to lose my patience. If I take a moment to look at the bigger picture, I am reminded that things will be different in half an hour, one hour, or one day from now. Asking myself how things might be different gives me hope and the incentive to do my best in this moment as “this too shall pass.” It wont be this way forever, but the way I behave can (and will) affect the future. 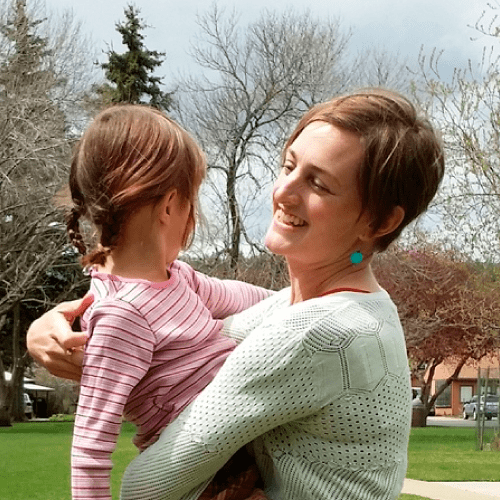 Do I want my kids to look back on a mommy who was kind and patient, or otherwise? I remind myself that patience is a way to show love. 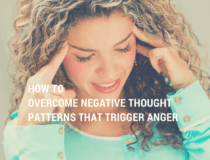 It never feels good to lose your patience, and it is even worse when you see how your temper affected your child. Having foresight and remembering that patience is a way to show love is a great motivator to actually practicing it. When I feel my patience is being tested, some big deep breaths and reminding myself how much I love my kids can really help me stay focused on the goal of modeling patience and embracing the challenges of parenthood… because love is at the root of it all. 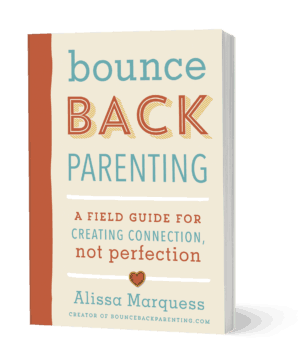 When I look back and think about the times I was patient, versus the ones I was not, I can see a clear difference in my willingness to connect with my child and be accepting of the challenge that is parenting. Rushing through things or willing things to be different does not help in tough situations. Instead, opening my heart and actively trying to practice patience can make a world of difference. If you are looking for ways to explain the concept of patience to your child, check out these six hands-on activities for teach patience where you can explore the topic together. 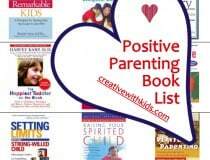 You may also want to check out these journal prompts for moms about patience. 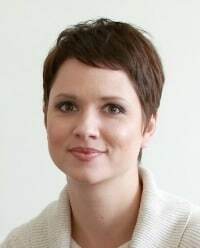 Chelsea Lee Smith Chelsea Lee Smith is a mom, author, blogger and presenter on positive parenting, personal growth and values education. 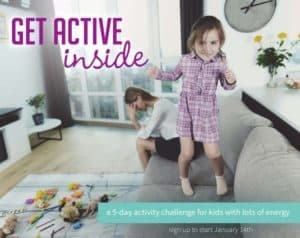 Her blog Moments a Day shares activities, and inspiration for families to work towards these goals. Her children’s book “Mason’s Greatest Gems” helps teach kids about finding and polishing the virtues inside themselves. Exactly what I needed to hear for this week. Thanks so much! I have really been working on this lately. Thank you for the reminders and tips. Pinned and stumbled! I think it will be a never-ending process for me – working on patience! The opportunities just keep coming 😉 Thanks so much for sharing. These ideas are so simple, yet so true. Having a “contrary” child can be challenging, but there are a lot of productive ways to deal with challenges. I’m saving this article an am going to retread it regularly. Such a helpful article! Thank you! I will be sharing with my husband. Emily Hoffman, I take that as a very big compliment. Having you all for readers helps remind me of the same! Thank you. We agree Emily! 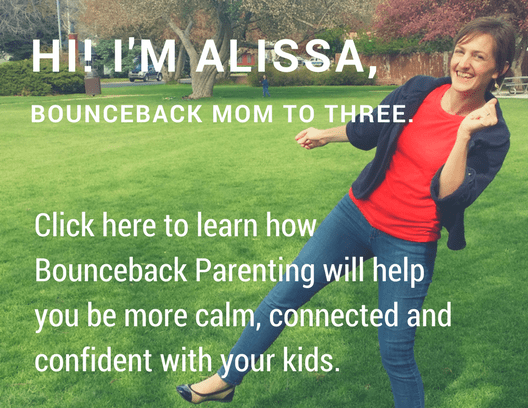 Alissa’s content helps us realize that frustration is normal, but it doesn’t have to be our norm. Thank you Alissa! Can I translate to Spanish so you can share in the website? This post is a guest post on Creative With Kids, so I don’t have the ability to give permission for translation, but thank you for asking! First article I’ve come across that makes some sense. Very nice! “Patience is a way to show love…” Never really thought of it that way. Jajaja!!! Difficult to be a patient mom after 5 days sleeping less than 4 hours & having to work the whole day. Feeling exhausted. 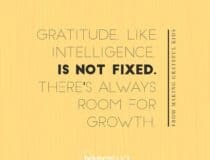 Hi Lynette definitely all parents need to grow and learn. As with any piece of writing it’s impossible to cover everything. I usually write from my experience which is why I speak to mothers specifically. Thank you for sharing. Your posts continue to encourage me to be the parent I want to be. Having patience while crossing US customs early this morning on 2 hours of sleep was pretty much impossible. Hey Chelsea! 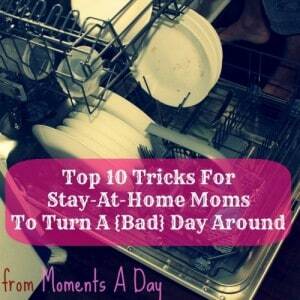 These are some really great tips. Looking at things from your child’s perspective is so helpful too. I actually just did a blog post about putting yourself in your child’s shoes in my own blog! I also remind myself often that “this too shall pass”. It’s something my own mom would tell me when I was frustrated or stressed and I remember it often. It’s really my situation whatever you are described in your article and your tips are so simple and easy to implement and very effective with a little efforts.